To help policymakers achieve lasting, post-financial crisis reform of the secondary mortgage market. To identify any macroprudential risks that may arise from an evolving housing finance ecosystem. To understand the barriers standing in the way of more affordable rental, and to offer practical solutions. 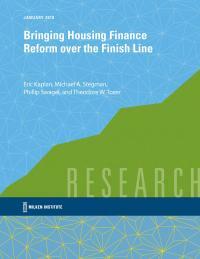 To monitor and analyze the changing dynamics in the U.S. housing finance market structure. 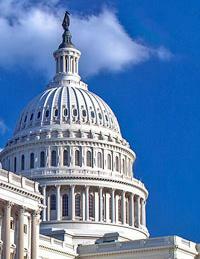 To help make homeownership achievable for all American families regardless of geography. To offer lessons to developing economies around the globe as they seek to house their citizens. Eight years after the mortgage meltdown, America’s housing system remains broken, serving neither taxpayers nor homeowners properly. We released the first in a four-part series of papers designed to help policymakers end the conservatorship of Fannie Mae and Freddie Mac and put our housing finance system on a path that ensures stability. This first paper briefly recaps how the system failed and reminds the reader why reform is necessary. A detailed proposal for a secondary mortgage market structure that enables capital markets to operate efficiently, safely, and soundly. This structure would replace the failed GSE structure while combining market mechanisms with appropriate government standard setting, oversight, and transparent support to ensure a deep and liquid market. An in-depth analysis of the discussion around access and affordability. Intended to provide fresh thinking and solutions for the many housing finance challenges facing American families today, this paper offers recommendations to expand economic opportunity for the 21st century American renter and homeowner. Milken Institute and Urban Institute experts discuss a draft bill under discussion as of March 2018 in the Senate Banking Committee to reform the housing finance system. 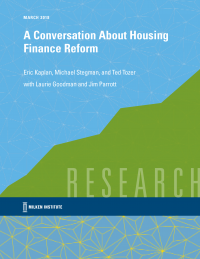 Given the breadth and the complexity of the bill, which would dramatically overhaul the nation's housing finance system, this informal dialogue between the authors offers reactions to, most interesting findings from, and important components of the draft. The dream of homeownership remains alive and well in the United States. Despite the disastrous consequences of the Great Recession for millions of homeowners, polls suggest that Americans still want their names on deeds. Testimony: U.S. House of Representatives Committee on Financial Services Subcommittee Housing and Insurance: “Sustainable Housing Finance, Part III"
This paper assesses these key elements of reform as well as the common elements of the two predominant models that satisfy or advance these elements.